A peculiar critter, dubbed “the weed bug,” or Phorodon cannabis, has multiplied in noticeable numbers in a number of Oregon cloning buds. The outbreak has caused many growers to wonder how the pest managed to incubate in their harvests, and if in fact the tiny bugs pose a considerable threat. Fortunately for growers, Phorodon cannabis does not seem to attack the roots of the plant– as do some other, more dangerous pests– and is likely to not affect the growth or health of a flowering weed plant. At the time, the bugs crawling on Steve Bailey’s new cannabis plants didn’t seem particularly special. They weren’t even all that annoying. It was early 2016, during the first few months of Oregon’s legal recreational marijuana market, and a Portland company was running a “grow the best clone” contest. Entrants each received cuttings of the same strain from the same source to see who could grow it best. And the clones received by Bailey and his partners at Bull Run, a craft “farm-to-jar” cannabis brand with cultivation operations in Boring, Oregon, had bugs. “We threw them out and that was that,” Bailey recalled. Or it was, for a while. Before long, friends and colleagues—many of whom had participated in the same clone contest—noticed similar bugs crawling on some of their crops. “Literally, within a matter of months, you saw everybody having it,” he said. Like that, Oregon’s cannabis aphid outbreak had begun. As anyone who grows marijuana (or has tried) knows, unwelcome visits from insects are an occupational hazard. Bailey, who grew up on a traditional farm in the Willamette Valley, identified them as a “normal lettuce aphid,” he said. He wasn’t alone. 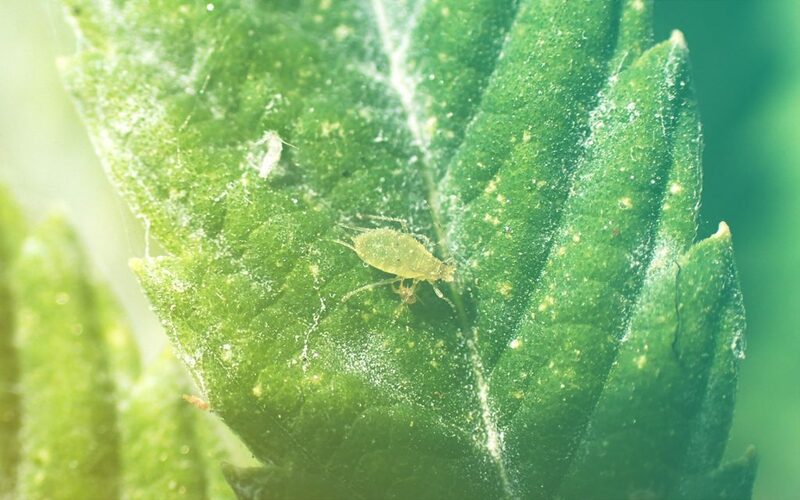 Other cannabis farmers in the area initially mistook the unidentified bug as a green peach aphid, hop aphid, or other common pest, said Joshua Vlach, an entyomologist at the Oregon Department of Agriculture. The real culprit, it turns out, was Phorodon cannabis—literally the “cannabis aphid”—a pale yellow creature first identified and catalogued by an Italian researcher in the 1860s. For whatever biological reason, the bug evolved to feed on only plants of the genus Cannabis sativa. Bailey believes the clone contest helped the bugs proliferate through Oregon. As for how the insect made it to the clone contest, somebody—nobody knows who—probably did what they weren’t supposed to and brought clones or cuttings across state lines. Even after they were identified, the aphids continued to spread across the state. By the end of 2017, they’d become so pervasive that the Oregon Department of Agriculture issued a statewide pest warning advisory. Cannabis is a plant whose hardiness as a “weed” is often overestimated. 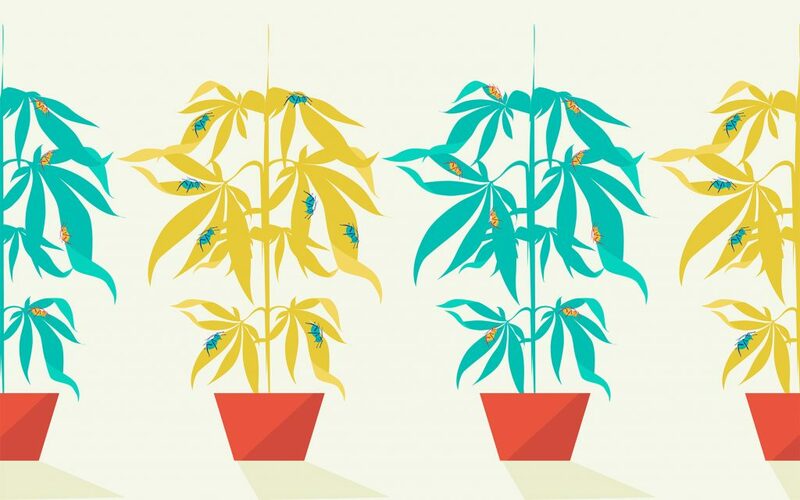 Like any crop, cannabis plants are susceptible to a host of biological threats. A few years before Bailey confronted the insects crawling on his clones, growers in Oregon and Northern California grappled with a particularly virulent outbreak of hemp russet mites, bugs that routinely plague both indoor and outdoor cannabis crops. Does cannabis make you forgetful?